The Asia North Festival celebrates the Korean heritage of the Charles North neighborhood. There will be performances, a night market, artist demonstrations, plenty of food and an exhibit featuring work by local artists who are Asian and Asian-American. The Asia North Festival, set for March 29-31, will be based largely in and around Motor House on North Avenue. The festival kicks off with an opening reception on Friday, April 29 from 6pm to 9pm. There is a full line-up of free performances and activities on Saturday, April 30 from 12pm to 9:30pm. The Night Market Underground will be on Saturday from 7pm to midnight. The weekend wraps up on Sunday with the Taste of Koreatown food tour and a student showcase at Baltimore Improv Group (BIG). To get the complete listing of activities, performances and locations, visit the website. 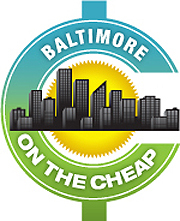 See the Baltimore on the Cheap day-by-day calendar of events to find more fun, affordable events and deals around Baltimore.